PLEASE NOTE: there was a technical problem with the audio recording of this study resulting in a few portions of the audio missing and some fluctuations on the audio level. This teaching by pastor Barry was given as part of our family service on 7th May 2017. 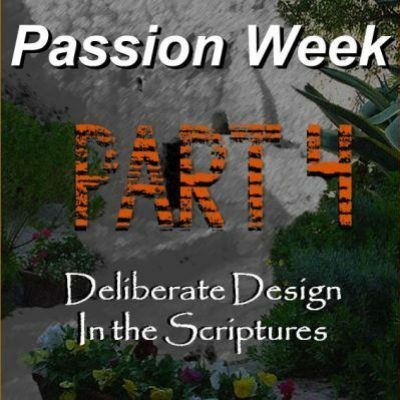 This is the fourth and final part of a 4-part study looking at Passion Week (the name we give to the last week Jesus spent with His disciples leading up to the Crucifixion and Resurrection). In this final session we looked at ‘The Power of the Resurrection’. “That is, that I may understand and experience the proper influence which the fact of his resurrection should have on the mind… There is no one truth that will have greater power over us, when properly believed, than the truth that Christ has risen from the dead”. Once we realise the Resurrection is a real historical event it will forever change us. To know, as the disciples did, that Jesus Christ came back to life, defeating the power of death, and that in His resurrection there is the assurance of our salvation from sin, we cannot live life the same. This is the most incredible historical event ever! We have been called to be witnesses, not to a creed, but to a person, Jesus Christ, and to declare the good news that man’s greatest enemy is now defeated – death no longer has a hold over us. “As in Adam all die, so in Christ shall all be made alive!” (see Romans 5). You can listen to the audio on this web page, or save it for listening to later. We have also made available the Powerpoint slides (in PDF format) used for this study.